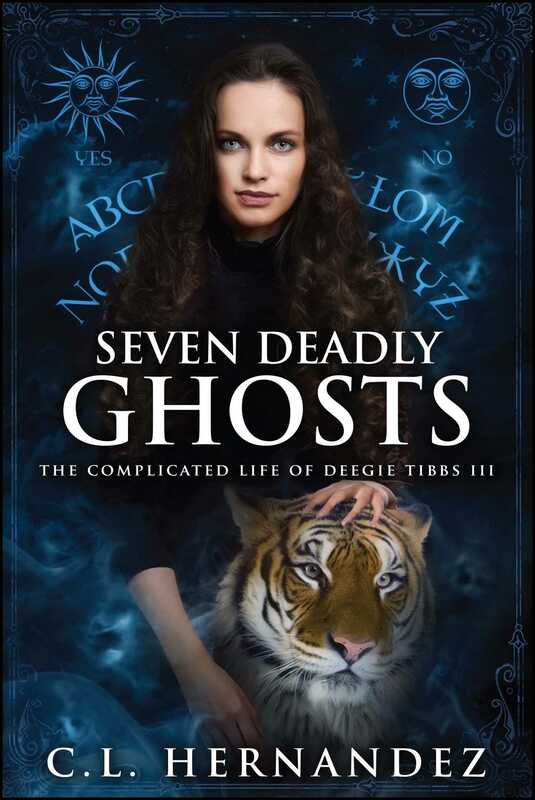 Seven obnoxious new ghosts are haunting Deegie Tibbs. And it’s not even her fault (for a change). A teenage girl steals a magical item from Deegie’s shop and accidentally conjures up seven of the most annoying paranormal entities in Washington. Now Deegie and her friends – a boyfriend, his brother, a witch, and a thief – have to help her capture them all, one by one. At first, they seem harmless and amusing, but these supernatural beings are anything but benign. Lives are being threatened…including Deegie’s. It’s a weird round-up of some of the most bizarre creatures the witches of Fiddlehead Creek have ever encountered. As the drama intensifies, so does the pain in Deegie’s heart, when she starts suspecting that the love of her life is making some magic of his own with a mysterious newcomer. A wise old witch named Flower discovers the secret of the marauding ghosts, but can she help end the chaos before it’s too late?